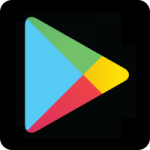 Corona Labs would like to update you about our recent plugin for Google Play Games Services. This plugin is known as GPGS v2 and there is a breaking change to be aware of. We’ve worked hard to make it call compatible with the older GPGS v1 plugin, however Google has changed their initialization and login process significantly. We had to make a change that you will need to adapt to so that you can successfully login and know if your app is connected. Where gpgsLoginListener is the name of your function to handle a successful login. If you have questions about the plugin, please joins us in our community forums. I tried using this plugin, but I'm getting a crash when I try to show leaderboards or to submit scores to it. I Corona  : 	[C]: ? Any idea what could be causing this? It's driving me crazy! This is blocking my project from finishing. I'll see if I can get an engineer to look into this. In the meantime can you share your code? What version of Corona as you using? What device and version of Android are you testing on? Is the test device rooted? Are you building with a release keystore or a debug keystore? Are you sure you have everything set up correctly in your Google Play developer console? Thank you for your response Rob. "leaderboardid1", -- those are placeholder IDs for the purpose of this post. "leaderboardid2"  -- In my code I have the real values from Play Store Console. I tried with Corona versions 3326 and 3441. It's happening with both. I'm testing on a Galaxy S6 with Android 7.0; I also made sure to update Google Play Store Game Services form the play store before posting this. The device is not rooted. attempt to call field 'init' (a nil value) // On the line where it says "gpgs.init(initCallback)" in the code above. I went over the Google Play developer console requirements multiple times. Could anything related to that be causing the issue? I'd make that change and see if the issue goes away. Hi! First of all, before calling any methods from the plugin check the connection state because the result of isConnected() method can be false and you probably will get this error. Second, if you didn't update your app at the https://play.google.com/apps/publish or at the https://console.developers.google.com/, or you didn't set up the project completely, the plugin will not allow you to call the methods. I will go over the console stuff again. I know you are super busy but there are some issues with gpgs v2. I use gpgs for saving / loading players progress. Everything is fine with the old plugin. 1. I don't see the welcome and chose account boxes the first time (or ever) the app starts. Is it normal? 2. If I delete / reinstall the game, I have to start the game twice until I get my progress back. The first time fails to move to gpgsSnapshotOpenForReadListener function I guess. I'm sorry, I don't have time right now for logs but maybe someone ( Mr. Rob Miracle ) could check my code. Try this method of reading/writing snapshots. How should I dismiss the waiting room UI? Number. If desired, the waiting room can allow the user to start playing the game even before the room is fully connected, and this is controlled by the minPlayersRequiredparameter. If at least this many participants including the current player are connected to the room, a "start" menu item will be enabled in the waiting room UI. Setting minPlayersRequired to 0 means that the item will always be available, while omitting this parameter will disable the item entirely. Note that if you allow any user to start early, you'll need to handle the situation by explicitly telling the other connected peers that the game is now starting. Is there any example of how to tell the other connected peers that game is starting and dismiss the waiting UI?